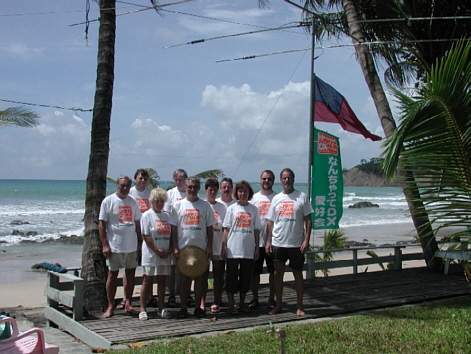 We actually had a special target in Africa for our 2003 DXpedition, however we ran into trouble obtaining the license. 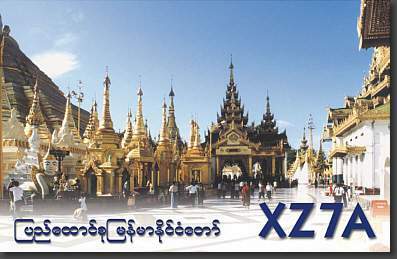 But we went to another country instead - Myanmar, XZ. Our call sign was XZ7A. Activity took place between September 30 and October 17, 2003. We had four stations at two different operating places. One of the places was in the capitol, the other one in a sea village. The location in the capitol was very promising because there is a accessable roof on a 25m high building. As usual we operated 160m to 6m, CW, SSB, RTTY, PSK31 and SSTV. We were using two linears, beams, a Titanex V80 vertical, a R7 plus a 6m yagi. Pilots for this DXpedition were Bernd, DF3CB and Floyd, N5FG. Thank you very much to all our sponsors who supported our XZ7A DXpedition!